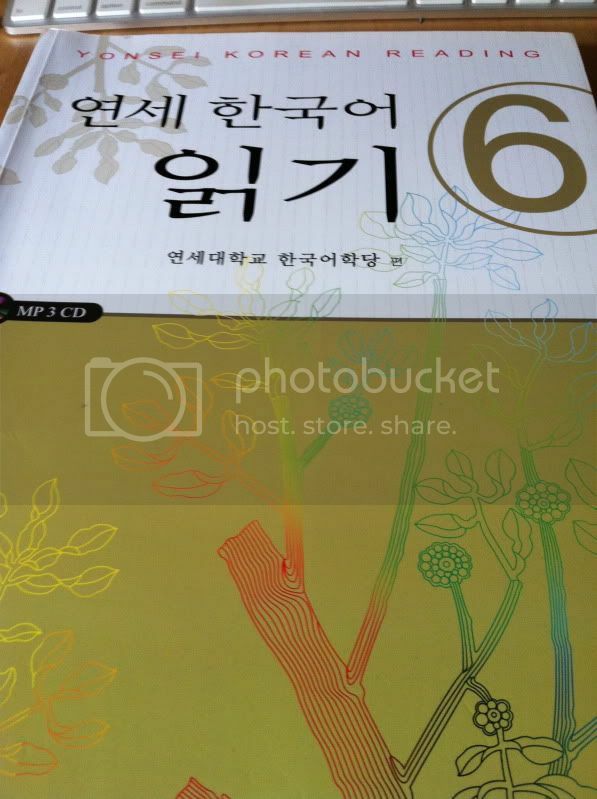 The ‘main text’ in the Yonsei Korean series are dialogues while in the reading series, they are really… long texts. It really trains your reading ability as you are confronted with long excerpts of texts taken from books etc. These texts are usually more challenging than those specially written for the foreign language learner. I like how textbooks try to incorporate culture into the learning process, but some books just come off as… terribly boring. The Yonsei reading book is different, and I love the aspects of culture they bring into the readings. They have passages that introduces the famous mountains of Korea in the form of a travel log, the 길거리 문화 (street culture) of Korea, and passages on using movies to understand Korea. I really appreciate the effort put in to choose each and every passage. They vary the styles of the text too: argumentative essays, travel log, narration, poems etc. This allows us to get exposed to a wide range of texts. The one thing I loved about the book is the accompanied CD. They contain the mp3 tracks of all the main reading texts and I find that exceptionally helpful when it comes to familiarising myself with the intonation contours, the pronunciation of certain words, the stresses, the pauses etc. It also serves as a very good listening training tool. I’ll recommend that you listen to the track before looking at the text itself, and see how much you can grasp from the audio. I don’t have much gripes about the book, but I feel that it might be a little difficult for self studying. I could feel the difference: completing a chapter with the 선생님 and completing a chapter by myself. CD is a big plus! HEY! Say something in Korean! I’ve only seen this book online but never on shelves at bookstores. I only have Yonsei’s Thematic Korean Reading 4 & 5. This one is really interesting. There’s like a lot of Yonsei books out there so I’m quite confused on what to use since they also have different contents. Thanks for the review!! Makes me want to buy this book but a lower level. I think so. They have really long passages, well for 4 & 5 I’m not sure with lower levels. 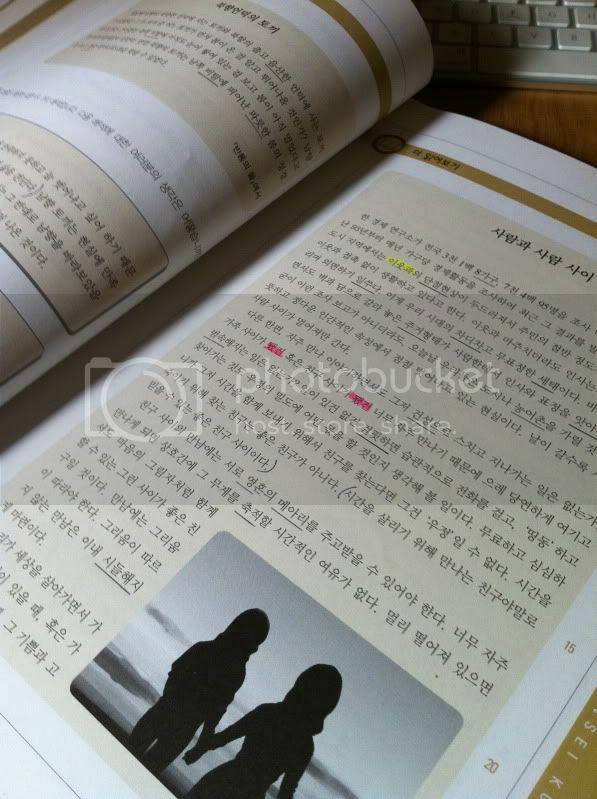 It also has some activity where you have to write about your thoughts about the passage and new vocabs explained in Korean. Oh, I forgot to ask: does the book have a glossary, and if so, is it decent? That’s my biggest complaint about Sogang, their glossaries are very minimal so I spend a lot of time with my dictionaries. They never define new words that they are introducing in each chapter; it’s always a “look them up yourself” situation. 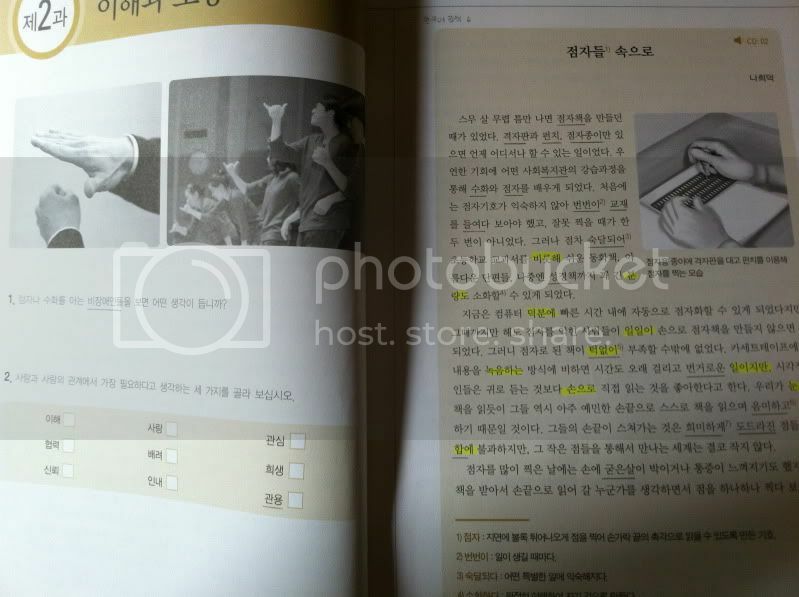 Do all the Yonsei reading books, grammar books and workbooks have answer keys? I know you said this book comes with a cd, but do the previous levels (grammar, reading,workbook) you own come with cd’s too? oh! glad u reminded me. the Yonsei reading books ONLY come with answer keys. The main textbook does not come with answers. I didn’t buy the workbooks so not sure about that. Yup, all main textbooks/reading books come with the CD. Not sure about the workbook though. 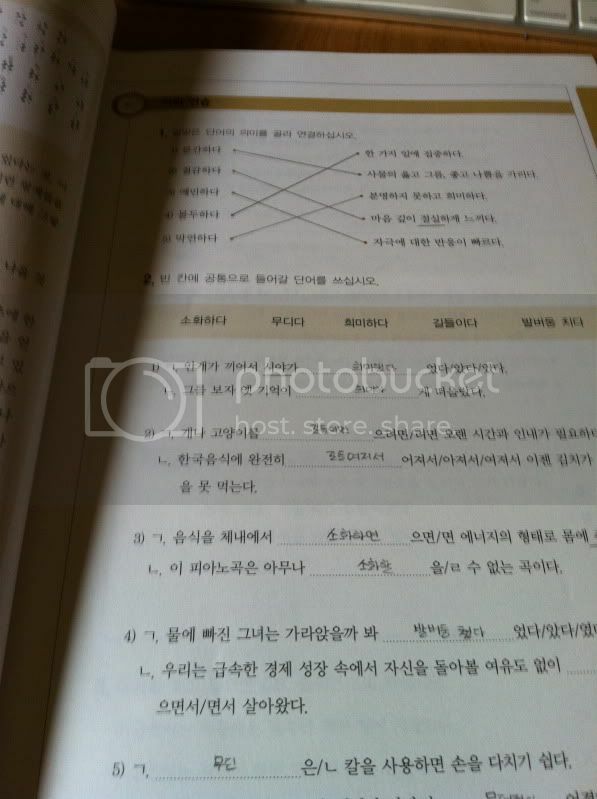 Reading your posts, I have decided to get the Integrated Korean Beginning 1. I ordered it from Book Depository (it's an online book store with free shipping!). Can't wait! yay~ thanks for the comment. i’ll write more reviews soon! oh yay great! another book to buy! hahaha (: i love books with answer keys =p so there’s the reading series all the way from level 1? or is it only for higher levels? what is the ISBN of this title ? Can you please tell me where I can find these? And tell me the official korean names so that I can buy them on Gmarket. Thank you! Yonsei reading books looks interesting. I may wanna get the lower level cos I am actually looking for books to read, Even if I don’t understand the content now, I may later as I progress. Haha. I wish I do progress. Thanks for recommending twochois cos I can acually see some pages (enlarged) of the books to get a rough idea of the books.